As you know, all Samsung Galaxy models from the Japanese AU carrier are locked to that carrier network and you will only be able to use the SIM card of the AU KDDI carrier. If you want to use the Sim of other carriers, the first thing you need to do is unlocking your AU Galaxy S8 phone first. 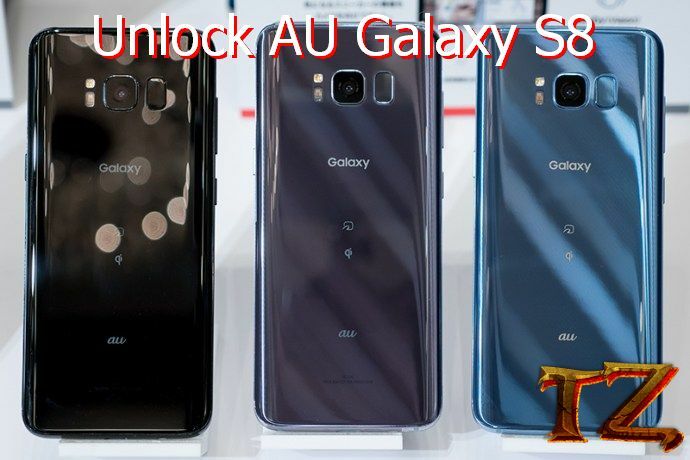 However, the AU carrier does not currently provide the code to unlock the Galaxy S8. So, you cannot purchase code from the carrier. If you are getting a headache about finding a way to unlock your AU Galaxy S8, then we are here to help you. There is a completely new way to unlock your Au Galaxy S8. It’s very easy & simple. All you need is flashing the ROM of the Docomo Samsung Galaxy S8 (SC02J) on your phone. We’ve already tested the ROM carefully, so you can comfortably flash the Rom to unlock your AU Galaxy S8 without any trouble. The ROM supports full languages and while there are some existing apps from the Docomo carrier, you can easily remove them. Now let’s start with unlocking your AU Samsung Galaxy S8 by flashing the Docomo S8 ROM. Now, boot your AU S8 into download mode by powering off the phone and then pressing its ‘Volume Down’ + ‘Power’ + ‘Bixby’ buttons at the same time. Then press ‘Volume Up’ button when there is a message on the screen. Plug your S8 into the computer using a USB cable and open Odin app. The button-left corner of the app will display ID:COM with blue color, which means the connection is successful.